I stayed home last week, intending to do housework, organize some of my hoarded entertainments, and generally be happily not at work. Instead I mostly sat on the coach, hating myself for being a failure of a Makie. Four days into this, I finally recognized that I was again exhibiting signs of a downward spiral. As I further reflected, I also realized that at some point I’d allowed my entire self-image to revolve around work. No matter what I did on my own time, I felt no sense of pride or accomplishment anymore. So I decided to do something — something new — just to be able to point to it and say “I did that!” I’ve been wanting to do a comic strip for years now, but I knew I’d need some references in order to turn out the artwork with any speed and consistency. 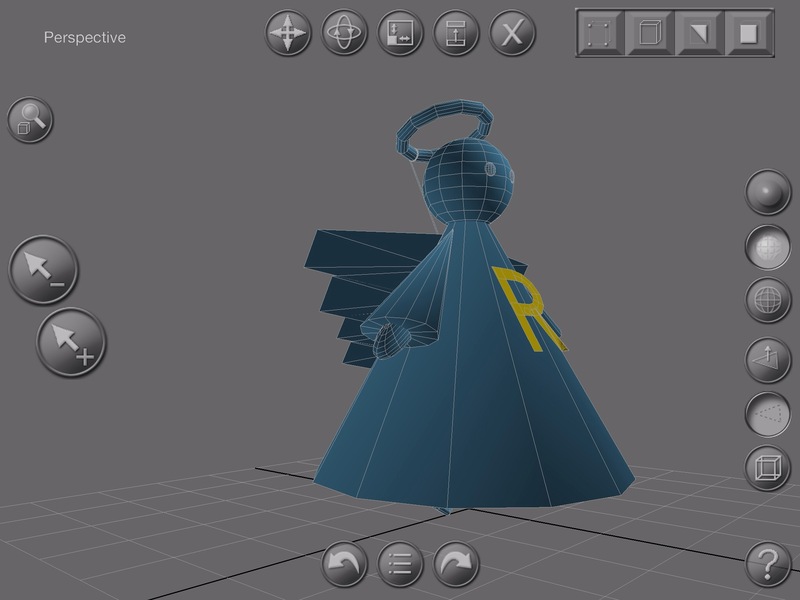 So I downloaded a 3D modeling program (without knowing the first thing about making models) and whipped up a model of a cartoony angel. It still took until well into this week to start feeling at all better, but damned if I’m not pleased with myself for having put together a clumsy, unarticulated model! This entry was posted in Life as a Zombie and tagged depression, personal by retrozombi. Bookmark the permalink. Although most of the content of Tales of the Atomic Zombie is true to the extent of my recollection, some names of people and companies have been changed. Because. All content is copyright Sean Frost 2012-2013 unless otherwise stated.